Hosted a weekly show @ the Metro every Thursday for 2 years with DJ Biff. Performed with the Legendary Mr. Charlie Brown and cast @ Backstreet Atlanta for several years. A unique and empowering ENERGY! She is OVAH! Nothing else to say except pure Fierceness and Lyrical Attitude. EJ is one of my favorites. . . 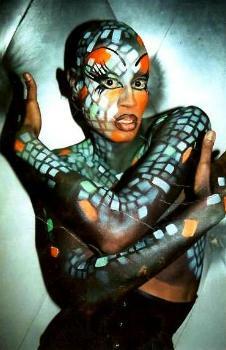 Performance Artist best describes the awesome presence that IS Ms EJ Aviance. The creativity, passion and excitement that Ms EJ pours into every performance will engage and entertain any audience at any venue. TRUST...Ms EJ will bring the party and keep it hyped whenever, wherever and all night long. The personification and epitome of drag avant-garde, up-and-comer Ms EJ Aviance will be the first to admit, “Ohh trust, they ARE NOT ready for me! !”, as she takes a casual peruse of the awesome costume she’s about to don. Whether walking the runway, hyping the crowd, shaking a tail feather or spitting hot vocals over sick beats, Ms EJ’s style and persona are too, too, other-side-of-extreme-fabulosity. Over the course of 20 years she has worked with an amazing cast of renowned promoters, entertainers and DJs. 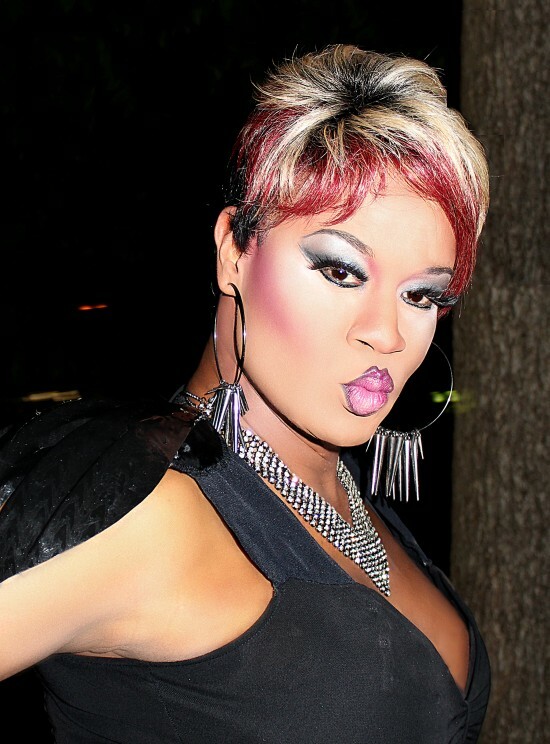 Two decades performing and dazzling throughout North America and all who cross her path, Ms EJ Aviance has managed to leave an indelible imprint on the drag/dance/house/party scene of D.C., Atlanta, Orlando, Miami, Los Angeles and Canada since 1991. Venues must be equipped with public address system with which to broadcast music for performances. Ms EJ Aviance has been described by many club/house music/party scene tastemakers as the lovechild of a wild illicit affair between the legendary iconic Grace Jones and dragamazing supermodel of the world RuPaul. Ms EJ pulls influences from a vast court of drag royalty both local Atlanta stars and international phenoms, but mixes in a generous portion of her own stylistic proclivities and tastes to come up with an artistic presence that is unique and not to be duplicated.